Tribal percussion, ethnic instruments and deep, warm tones are blended together in this soulful composition that is both grounding and soothing at the same time. 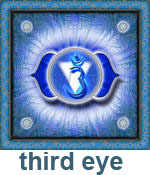 This gentle music will activate the base chakra, while preparing the physical body for deep relaxation. 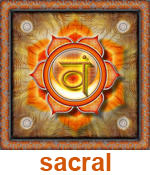 As we move up from the base chakra, the music of the sacral chakra becomes more emotional and more fluid. This composition awakens and purifies the sacral chakra while engendering feelings of openness, warmth and connectedness towards others. 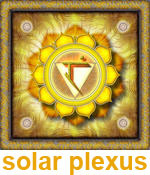 The music of the solar plexus chakra has a brightness to it that invokes images of sunshine and inner radiance. You will notice that the music is very calm, but it is also very “alive” and energizing. 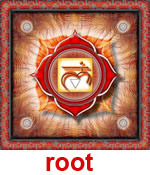 This empowering composition is wonderful for awakening and cleansing the solar plexus chakra. 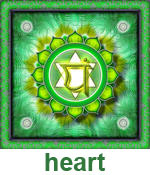 I like to think that this heart chakra meditation music speaks for itself. This is music of love and compassion, pure and simple. Visualize yourself drifting across a clear blue sky, floating like a cloud on the breeze. You are breathing cool, sparkling air deep into your lungs. 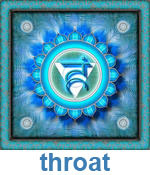 These are the images that come into my mind when I listen to this throat chakra music. Openness, freedom of self expression and lightness of being are encouraged by this tranquil composition. This mystical soundscape does not adhere to any of the “rules” that might govern traditional music composition. Intentionally unstructured – this dreamy, meditative music opens the third eye chakra and frees the listener to explore their imagination, their intuition and the deeper aspects of their mind. 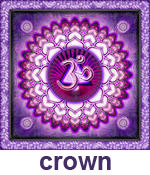 Heavenly and sweet, the music of the crown chakra opens one up to the timeless, limitless nature of pure awareness. As the music unfolds, melodic bells gradually give way to a wash of celestial choirs and shimmering chimes that uplift and inspire the listener to an elevated state of consciousness.